Not really groundbreaking information, but it did appear in a mainstream, well-respected, scientific journal. Investigators are not prevented from pursuing certain lines of thinking. In fact, there are several follow-up studies challenging the original postulation. That’s science, right? Shortly thereafter, Forbes autism blogger, Emily Willingham, followed with a piece actually naming the culprit. She tattled that it was the nefarious Dr. Andrew Wakefield. He is the British pediatric-surgeon-gastroenterologist-fallen-from-grace who has been accused of concocting the measles-vaccine-autism association in order to gain riches and international fame. Thanks, Em, otherwise we wouldn’t have known who they meant. The science writer penned another less-than-illuminating piece. She posited her somewhat unconventional point of view that anxiety is the cause of many G-I disturbances, rather than the other way ’round. What has that got to do with “Blame Wakefield For Missed Autism-Gut Connection”? Has that delayed ‘Dr.’ W’s research, as well? Can we get some facts straight here? Fact: The title of the original article in question was, Ileal-lymphoid-nodular hyperplasia, non-specific colitis, and pervasive developmental disorder in children. It began as a series of case reports, which has been totally blown out of proportion. Some of the patients had an autism diagnosis, assigned by other specialists. Does that sound like science or sedition? Fact: Dr. Leo Kanner, father of modern child psychiatry and inventor of the “autism” classification in the 1940’s, first reported on 11 patients, 8 of whom had G-I signs and symptoms. He called the problem a psychiatric disorder. That delayed correct diagnosis and treatment for about 50 years (and continues to slow the process because of the ASD inclusion in the Diagnostic and Statistical Manual of Mental Disorders). Fact: Bruno Bettelheim helped prolong the ‘Refrigerator mom’ theory throughout the 60’s and beyond. With a thick Austrian accent and faked credentials, he appeared on talk shows and became famous with that stupidity, not infamous. Why is there such an emotional connection with this condition? It’s the Wakefield Effect. 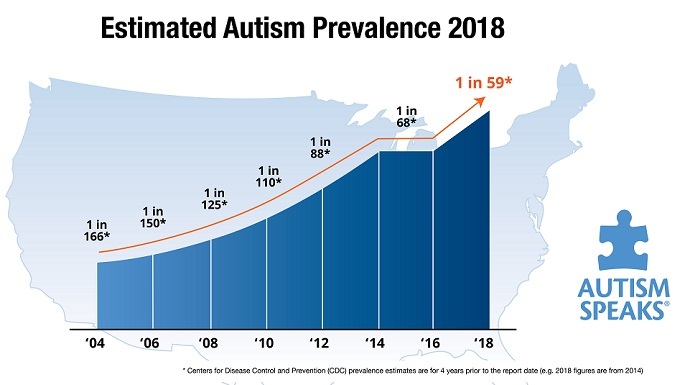 Because of this debacle, anything having to do with autism that is not sanctioned by the mainstream is considered an aberration; including special diets, yeast in the G-I system, vitamins, and toxins in the environment. Regarding certain establishment fixtures, such as vaccination, anyone who pursues a course of action other than the teachings of the Church (Big Pharma+ Conventional Medicine) is to be expelled from the religion and sent packing to other ports of call. With the availability of the Internet and Social Media, innuendo turns into truth. I have met Dr. W and heard him speak several times. He is good-looking, articulate, charismatic, and tells a compelling tale. He probably could have continued his research, and even received funding, if he had followed his original work with more humility and sense of uncertainty. If this was a hoax or part of some grander plan, it has certainly failed as he (and his work) falls into obscurity. Rather than discuss biology, genetics, objective research strategies and prospective trials that could assure safety and effectiveness, the public is fed dogma and discord. The wrong line of reasoning is being followed and now appears in more diverse venues, including popular, financial and even scientific publications. Perhaps it is less interesting and more complicated, but the best antidote to the Wakefield Effect is for medicine to drop this non-issue and move on. The media wants controversy, but parents want answers. This entry was posted on Tuesday, May 13th, 2014 at 6:22 pm	and is filed under >ALL<, Alternative and Complementary Medicine for ASD, Autism Therapies, Diets, Gastrointestinal Issue, News-Maybe-Worthy, Patient experiences, Vaccines. You can follow any responses to this entry through the RSS 2.0 feed. You can leave a response, or trackback from your own site.